Oppo A5 Smartphone Become Official: Specification and Price in Pakistan. 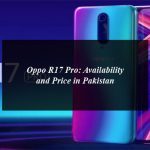 Oppo the Selfie Expert mobile phone manufacturer has launched another dual camera smartphone in Pakistan. Oppo A5. It’s a mind-range smartphone that was officially launched in China this year. The Oppo A5 smartphone features a 6.2-inch HD+ FullView display with a 19:9 aspect ratio and an 87.9 percent of screen with the 720×1520 pixels of resolution. It is powered by a 1.8GHz octa-core Qualcomm Snapdragon 450 processor and Android 8.1 operating system. The A5 smartphone includes a 4GB RAM and 64GB of internal storage which is expandable up to 256GB. The device also has some of the interesting features such as Smart Lock, Smart Driving, Full-Screen multitasking and Music party. 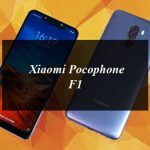 It has dual rare facing camera 13-megapixel primary sensor with f/2.2 aperture and 2-megapixel secondary sensor with an f/2.4 aperture to detect the depth in portrait mode. The front facing camera is clogged at an 8-megapixel with f/2.2 aperture for selfies and video chats. It also includes a non-removable 4230mAh battery. 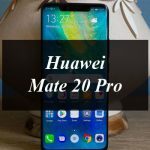 This smartphone supports the 2.0 A.I. Beauty Technology for crystal clear photo capturing. In terms of connectivity the Oppo a5 smartphone features 4G VoLTE, Wi-Fi 802.11 b/g/n, Bluetooth 4.2, GPS/ A-GPS, a micro-USB port, and a 3.5mm headphone jack. It also supports dual sims. It is available having Blue and Rose Gold colour options. Oppo A5 price in Pakistan is Rs. 27,999. It will go on sale from 13th September 2018.